Giant Ghost Control Deck feat. Zappies – Get 12 Wins With Ease! It’s me, Supermarine, back at it again with the white Vans! JUST KIDDING! I am actually here today to share with you guys an amazing Giant Ghost Deck made by my boi Dragon Claw. I tried it out, and got third in a 100 man tourney, along with 12 win Challenge victories! Now that I have your attention, why don’t we get to the guide, shall we? Giant: The humble Giant has been a great tank troop ever since y’all came fresh out of the Training Camp. He has very good damage, attack speed, and health for his cost. Speaking of cost, this guy is actually the cheapest big tank in the game, and yet he has more health than Royal Giant, Giant Skeleton and even Lava Hound if over leveled! Just don’t place him in the back as an opener though, or you could be in for a nasty surprise when your opponent attacks! Royal Ghost: OoOoOoOoOoOoOoOoOoO… very scary! For 3 Elixir, he goes invisible (great for defense BTW! ), does area damage and even puts good sized dents in the opponent’s Arena Tower! Here, he finds his place behind the Giant to protect him from deadly ground swarms such as Goblins. Also, he has quite a bit of health, so Guards and other swarms used for surrounding won’t be able to do their job. The invisibility allows him to bypass deadly single shot troops so he can attack them while they frantically shoot at the Giant. Just watch out for splash units and spells! Use against the likes of Princess, Horde, Gang, Barrel, etc. Mostly self explanatory. Note that it doesn’t provide knockback or stun like Zap and The Log do. Lightning: This is a great, yet underrated heavy spell that works quite well here, despite its hard-hitting nerf to its range. It manages to cripple the Inferno Tower, Inferno Dragon, and glass cannons like Wizard, Witch, and Musketeer. It even rips the Elite Retards to shreds, allowing the Royal Ghost to one-shot them! However, be very careful when using it, as it is very expensive. If used poorly or if miscast, the opponent can punish hard with a very deadly counterpush! Zappies: Ah, the Zappies! So neat, so energetic (literally), and so full of value! Zappies are great because unlike the eWiz, there are three of them in a triangular formation. Since they are in this formation, they will attack troops or Infernos at different times, meaning that their collective stun time will be even longer than that of Electro Wizard! On defense, these little guys have massive push stoppage power due to the collective stun (which totals to 1.5 seconds by the way), giving deadly tank killers much more time to attack before having to move to pursue the tank. Also, since the Zappies move very slowly, you can place them in the back to invest Elixir. It won’t be as hurtful as putting a Giant in the back, and it also means you don’t have to commit to one single lane, even if they don’t split evenly! Be sure to protect these guys from spells like Poison and Fireball, as they will die to them! Goblins: Three small, fast, green and mean killing machines. They have very good DPS for their cost. 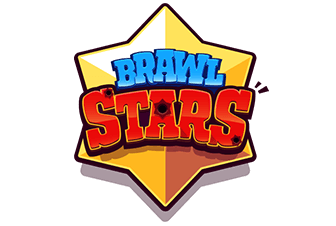 They can surround and kill deadly splash troops such as Executioner or Wizard with ease, although they may have trouble versus Magic Archer, Night Witch, or opposing Royal Ghosts. They even kill mini tanks like Bandit and Battle Ram for a positive trade! You can also use them to cycle and shape your hand as well. Ice Spirit: Pretty self explanatory. He freezes key troops and also helps to cycle. He is also a cheap reset card, which sets him apart from the easier to use Fire Spirits. Inferno Dragon: One of those troops that always brings the pain, on offense or defense! He can absolutely murder tanks like nobody’s business, and then that heavy damage can be transitioned into offense using a counterpush! However, be sure to help to protect him from reset cards and deadly high DPS air troops (yes, I’m talking about you Bats! ), as both counter him well! At this time, you should try to play defense so that way you can find openings to punish them. 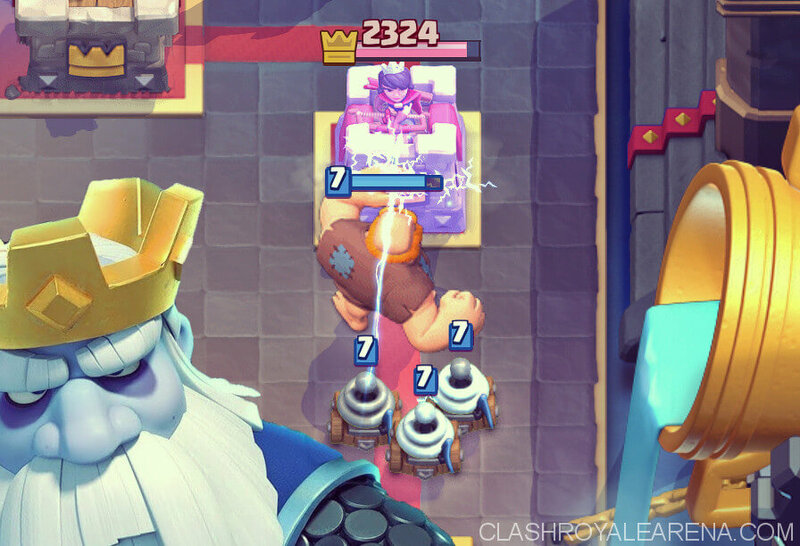 If you do, pay attention to any good counters you opponent has to the Giant, like Inferno Tower, Tombstone, or Mini P.E.K.K.A. That way, when Double Elixir hits, you can use your cycle potential to counter their counters, and get massive damage done. Now is when you attack, attack, and attack some more! 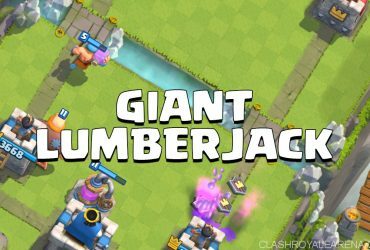 Use the increased Elixir gain rate to cycle multiple Giants and outcycle their counters (which you should have figured out during Single Elixir). e sure to use your support spells wisely too, as they will play substantial roles during this time! Simple! Use the Inferno Dragon! If he gets Zapped or reset in any way, use Ice Spirit to freeze. With Double Prince dominating the metagame right now, Golem is experiencing rapid decline. However, that doesn’t mean you won’t encounter this brute in the future. So, here’s some tidbits for when you do. There are two options: use your Inferno Dragon to kill Golem, then counterpush with Giant, or you can punish the Golem at the back with a Giant+Ice Spirit at the bridge, then use Goblins to kill the lone tank. Use Inferno Dragon if necessary (if you chose the 2nd option). This girl hard counters your Giant, so getting Arena Tower damage will be tough. What you want to do is use (preferably on the counterpush) Inferno Dragon+Ice Spirit+Goblins. Ice Spirit freezes, Goblins distract, Inferno D kills, meaning Giant will have free reign on offense! Use Zappies to keep the Hound in place while the ID attacks anything behind. Use Goblins on Miner (if there is one) and Arrow Pups if necessary. You can virtually treat them both the same way! Lightning Elite Retards if necessary. Use Goblins to kill him quickly or Zappies to hold him in place while the Arena Tower does the damage. The easiest thing to do would be to just use Lightning. If split, then Lightning the 2 Musketeers, then use Goblins on the other. With decks like Double Prince running rampant in today’s metagame, you need to be ready. The best way to counter Double Prince using this deck is to use the Zappies to hold both Princes in place, the use the Royal Ghost to strike them both while the Tower does damage. Use Ice Spirit to freeze or Goblins if necessary. Goblins, Royal Ghost, and Arrows work extremely well versus Graveyard. Be sure to use all of your counters sparingly, especially if they are also using Freeze! Versus Graveyard Freeze, you will want to bait it out with the Royal Ghost, then use Guards. Use Ice Spirit if necessary. Giant is a very wise counter to both types of Siege structures. It also allows you to form a counterpush with him as well, and paired with spells, the opponent may have issues defending! 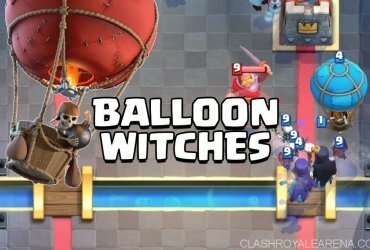 If Giant is not in cycle when the structure comes out, Lightning or Royal Ghost can also be used in a pinch. When using Royal Ghost, be sure to use Ice Spirit to force the structure to retarget. Royal Ghost and Guards both work great against Miner, and are capable of surviving a Poison, so you shouldn’t have too much difficulty. Use Ice Spirit to freeze if necessary, and Inferno Dragon if any tanks appear. This deck is on rapid decline, but it’s better to be prepared anyway. Always Arrow the Goblin Barrels. Use Goblins on the Princess, and Ice Spirit on the Gang. Also be sure to be aware of Inferno Tower or Tesla, as you will definitely need to use your Lightning. Versus Bait Decks with Tesla, wait until it pops up to Lightning, otherwise you’ll have just wasted Elixir. That’s right, this deck is making a comeback due to the buff to both Princes! Versus Spam, you will want to distract any big tanks (if any) with Zappies. If there are no big tanks, then use Zappies to keep everything in place, then use Royal Ghost+Goblins to kill everything while the Zappies stun. Use Inferno Dragon if necessary, and counterpush after if you can. If they have a big tank and they place it in the back to invest, be sure to punish with Giant and your spells accordingly, as you may not get another chance to do so! Treat it like an area damaging P.E.K.K.A. Use the Royal Ghost to soak all the MK’s blows, then use Inferno Dragon to kill him. If it gets reset, then use Ice Spirit to freeze. Use Goblins or Zappies (for their collective stun, actually benefits quite well versus MK because they delay his jump) if necessary. 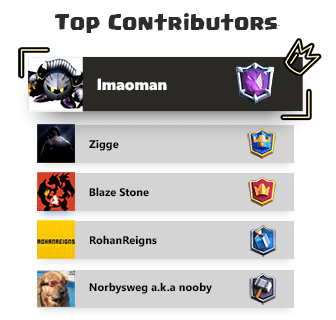 So that’s all for this amazing deck guide! Leave a comment if y’all have something to say! In terms of the new series, it will be coming soon!